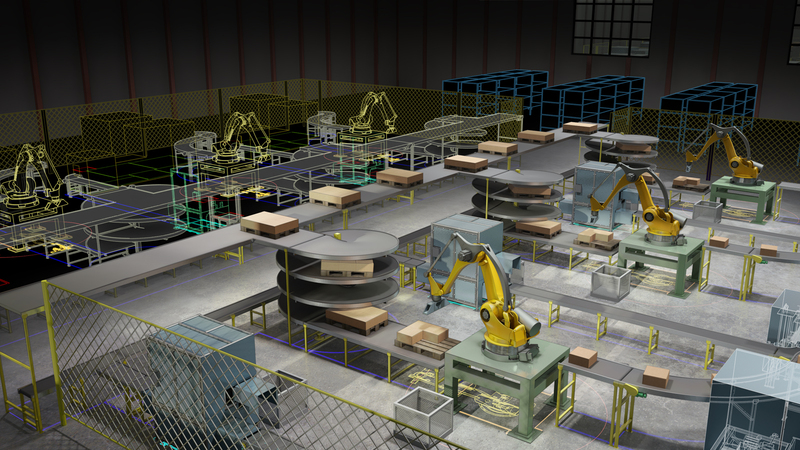 Still Using AutoCAD to Plan Your Factory Layout? There is a Better Way. How do you know your factory is optimized? If you are using AutoCAD to layout your factory floor, you are missing tools to verify your factory line is optimized for production and reduction of risk and errors. AutoCAD alone lacks the ability to gather the huge amounts of data in machine and facility layout to better predict clash detection and improve productivity. How can I incorporate laser scan data to better work with AEC vendors? How do I handle multiple change orders as a project progresses? Can I predict impact of machine downtime and potential problems in advance? How can I better plan and prevent delays and costs? Can I reduce risk in factory changes? This event is free, but seats are limited, so please register now. Want to see the benefits other companies are seeing? Learn more about the benefits Feige Filling is experiencing on our post ‘Autodesk Factory Design Suite Increases Competitive Edge’. A great and direct piece of information. Hats off to the author for gathering so specific and spot on information. the applause in the comments do the justice. Great piece of information.